After a frenzied run of high prices and low inventory experienced between 2013 and early 2016, it’s hard for sellers to adjust to the new reality; a slower market that has tipped toward buyers. 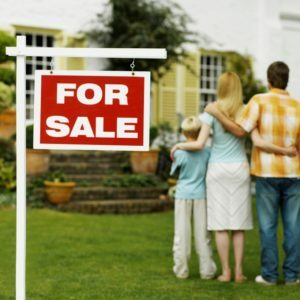 But there are things sellers can do to help them sell quickly and get the max amount of money from the sale. A clearheaded evaluation of multiple agent proposals to get a home sold, proper de-cluttering and staging, an honest assessment of a homes actual value, and negotiating flexibility, will go a long way toward meeting a sellers goals. 1. Pricing: The closer the list price is to the home’s actual value will cause a faster sale, and more often than not, generate the highest amount of money for the seller. 2. Hiring Agents: Interview at least two agents before making your selection. This new market is unforgiving and you will need an experienced, top quality agent. Make candidates show you, comprehensively, in black and white how they will price, help stage, and market your home. 3. Staging A Home: To successfully compete with other sellers, your home needs to be de-cluttered, touched up, cleaned up, small repairs made, and have the landscaping looking good. Put the home’s best foot forward. 4. Be Flexible: Sellers may be confronted with a contingency offer, which in the recent past would be automatically dismissed by anyone with a good home in a demand area. Times have changed. If the contingency offer (the buyer has a house to sell before buying), is reasonable, for example, the buyer’s home is not only on the market but is also a quality residence, that’s priced right, and/or under contract, sellers might give it strong consideration. Other incentives like Home Warranties, flexible closing dates, and contribution toward closing costs, might also come into play. The object is to give buyers something they can’t get from competition. We are experienced agents and have successfully helped sellers get their home sold in previous challenging markets. We help sellers with every aspect of the transaction. Everything. Call us for an informative consultation.